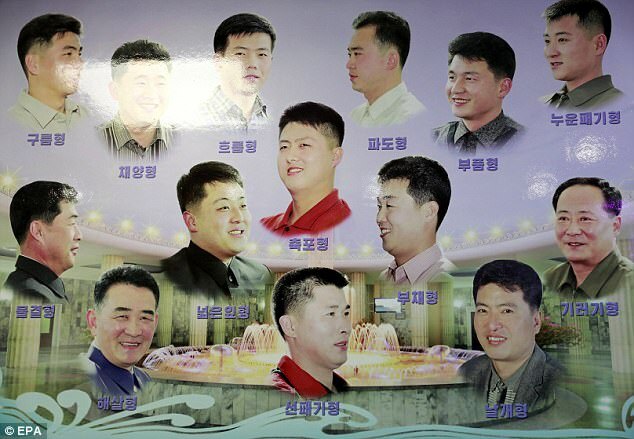 North Korean men and women have a choice of just 15 approved hairstyles, it has been claimed. Illustrated guides have appeared in hair salons across Pyongyang showing haircuts deemed acceptable by Kim Jong-un's authorities. But surprisingly none of the male styles appear to match the distinctive cut favoured by the dictator. And he even tried one of the country's salons, selecting what he said was 'the most popular' style on offer - and described the experience as the 'best shave and head massage that I have ever had'. However, Twitter users pointed out that the poster may simply have been guides for customers rather than 'mandatory styles'. In 2015 it was reported that Kim Jong-un had ordered men to copy his 'ambitious' hair style limiting growth to a maximum length of 2cm. Anyone breaching the restrictive guidelines faced having their hair cut by authorities, especially in universities, which were reportedly warned to watch out for any capitalist styles. 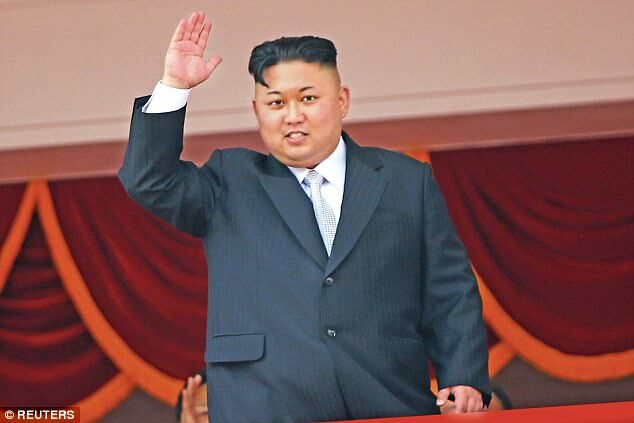 Women were said to have been spared the prospect of appearing in public with Kim's highly-stylised hair cut, but were reportedly advised to copy his wife, Ri Sol-ju's bob.